At KMUTNB, our staffs always prioritize the needs of our students above all else. We are committed to improving students’ quality-of-life by providing both facilities and funding for student groups so that they can pursue their own interests outside the classroom. We also encourage our students to engage in both university-run and student-run activities that occur throughout the year. Some activities are based on our famous Thai traditions, such as, the Water Festival and the Loy Krathong Festival. 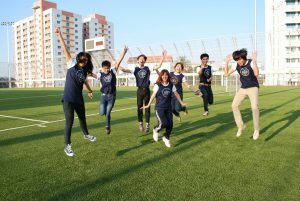 Other activities are initiated by students, such as iRAP (Invigorating Robot Activity Project), the 6-time world champion in World Robocup Rescue Robot Competition, Student Formula Project, and Rural Development Camps. All students are welcome! Center for International Engineering Programs, Kmutnb shared a post. - Seagate Technology (Thailand) Ltd.
✅ พร้อมใช้งานแล้ว ระบบจองห้องติว ศูนย์บริการเรียนรู้ ชั้น 3 อาคาร 82 คณะวิศวกรรมศาสตร์ มจพ. Center for International Engineering Programs, Kmutnb shared an album. Center for International Engineering Programs, Kmutnb added 7 new photos.